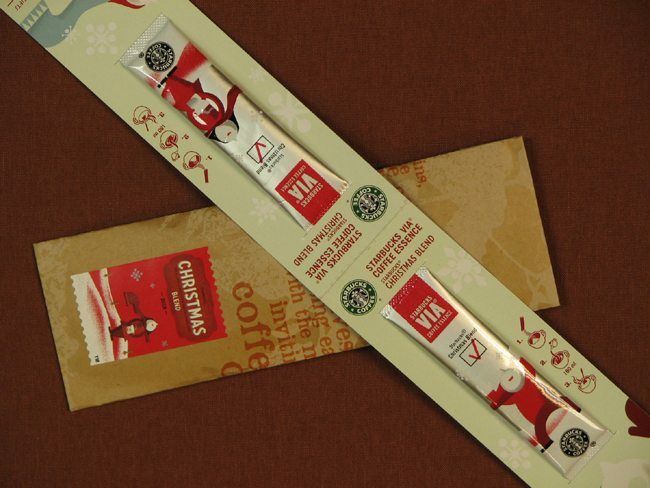 This holiday season at Starbucks, you will be able to buy Via Ready Brew in Christmas Blend flavor. 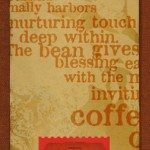 For those that do not know, the Christmas Blend whole bean coffee is a blend of beans including Aged Sumatra which gives it its quintessential spicy, bold flavor. My understanding is that this new Via will be released in the United States about mid-November. 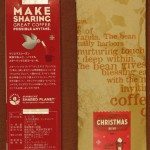 One odd thing is that the Starbucks Japan market seemed to get their Christmas Blend Via in much earlier than here in Seattle. 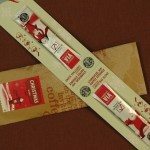 Last week fellow blogger and Starbucks enthusiast Kaori (who produces a Starbucks blog with its focus on Japan) already had photos up of Christmas Blend Via. I’m very thankful that a friend in Japan sent me some Christmas Blend to try. It arrived in my mailbox late last week, and then I ran to my friend Molly of Seattle Custom Framing who took the photos below. 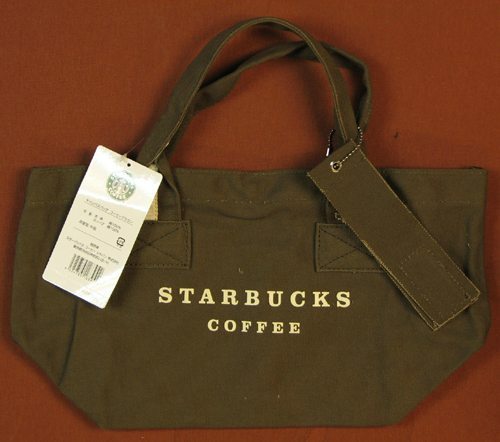 My friend who sent me the Via also threw in the package a Starbucks tote bag too. To be honest, I am not sure if that is a regularly available item in Japan, or what the story is behind it, but I thought I’d show it here too. My friend is offline for a few weeks so I can’t follow up with him at this time. 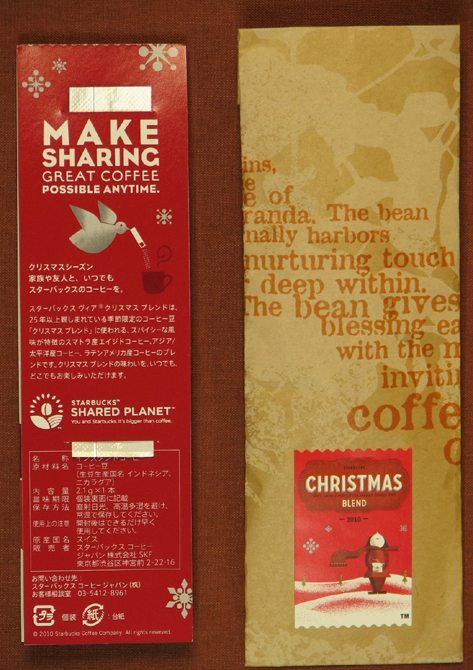 Notice the extremely clever packaging of the Japanese version of Christmas Blend Via. It comes packaged in little packets of two with the word “share” on it. The clear idea here is that you should be sharing a cup of Via with a friend! One for you, one for a friend. I love it. The paired Via is in pre-perforated packaging to make it easy to rip one off and give to a friend, and keep one for your own cup of coffee. Also notice, since this is the version sold in Japan, it is actually labeled “Coffee Essence” not “Ready Brew”. The gossip I’ve heard is that the United States version of Christmas Blend Via will come in standard packaging of 12 Via packets in a box. I don’t know the price point for this new Via. I’m drinking a cup of it right now as I write this blog post. One thing I noticed right away is that it seemed to have a much stronger, fuller, bold aroma than either the previous two versions of Via (referring to Colombia Via and Italian Roast Via). This Via is definitely overall bolder than the previous two versions of Via. I think I might have poured just a little too much water in my cup, but it is still very good. The mouth feel is only a light to medium body whereas I suspect that a French press or Clover cup of whole bean Christmas Blend would be a little heavier in the mouth. There is definitely some spiciness to it, but not a lot. I have to admit, I genuinely do like Via. It’s an ingenuous way to have a good, quick cup of coffee. This is delicious. I really like it. It has a lingering finish that makes me want another sip. This will be easy to sell once people try it. 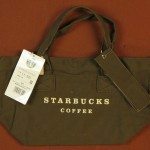 Previous blog posts at StarbucksMelody.com on Via Ready Brew. I’m looking forward to your comments on any Via-related topic. Thanks again for being a part of the blog. I don’t say thank you enough to the many people who make this blog work, and that includes those who leave comments and all the readers. Thank you. How was your Via Latte Taste Challenge? This will fly off the shelves. Very Nice! Can i get it in Germany this season? Nice pics! My local SB put out the Xmas cups and is slowly decorating the store. Haven’t seen any Via Xmas yet. Sometimes, I wish the stores would be decorated in a more generic holiday theme. And Melody we should give you a big thank you for all the time and energy you devote to this great blog!!! It is such a pleasure to read. I am so glad people share these wonderful things with you so that everyone can see them! What are you feeling on the new Christmas cups? Here in ohio partners are not really fond with the upturned nose people. I personally think it’s fun and very different though. I like it! I can’t be 100% sure but I think the Christmas Blend VIA you have are special pre-sale samples as the actual date of release is officially November 2nd, which is when the Christmas 2010 season starts here. Maybe it’s earlier here because we don’t celebrate Thanksgiving? Well, now I think they’ve gone too far. I like all the VIA’s (except Colombian), some of the flavors more than others…..but this???? I don’t know, apparently they know what they’re doing or they wouldn’t put it out there. But, I’m kind of amazed. I think this year’s Christmas Blend is not as heavy and full-bodied as the blends from the last couple of years. For me it has got a lot more of that nutty, chocolaty flavor that you find in Latin-American coffees with only a hint of Sumatra’s spiciness. So I guess it’ll be the same with the VIA ready brew Christmas Blend. Christmas Via! Delicious! Now if they would put Casi Cielo in via, I’d be the happiest barista! Unfortunately, i think this product doesnt come to Germany. Can anyone sent me a package? I have only tried one of the Via’s (mocha) I really like it. So, I think I’ll be adding some Via flavors to my holiday wish list. Pencil to Paper – I want the tote, too! I make baskets of baked goodness for Christmas – I can easily see dropping some Via into those gifts! Really like the “share” cards!! I am very excited about the possibilities! this could be the greatest idea that Starbucks has ever come out with. So is it not going to as full bodied as the regular Christmas blend? Woohoo! I can’t wait to try this! That’s pretty awesome news. With VIA sales as strong as they are, it seems like a good addition to their new flavors, even if it’s temporary. Melody, very tempting blog entry. You sre have some nice “pen pals” (yes, I am dating myself to before everything was done instantly). 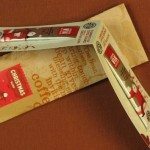 Showed my baristas this post and they mentioned that the Christmas Blend VIA is to out on November 15. I too like VIA, in its place. It comes in handy for a quick cup of “pick-me-up” and I use it in cooking and baking. I’ll have to try the Christmas Blend in some brownies. Too ensure a consistent cup of VIA I use my Keurig to make the hot water. It has settings for 6, 8, and 10 ounces so I get a perfect 8 ounces every time at 191-degrees (is my engineering showing?). I am seeing more and more VIA being purchased every day. I have heard some folks mention, as they are getting their latte whatever, that the VIA is for later in the day. Sorry for the delay getting back to this thread. I’m totally swamped at work. @BCav- Casi Cielo Via – Now you’re messing with perfection! To all – Did you all visit Kaori’s blog? So very cool. It’s clear Japan got this product earlier than any other place. Her store is decked with signage as of last week, and samplers are starting, and notice the signs announce it as arriving 11-2 (and I just realized, as I write this at 9 pm on Monday 11-1 in Seattle that it is already 1 pm on 11-12 in Japan) – Japan is fully enjoy the Christmas Blend Via love!! If only the US didn’t have to wait longer. 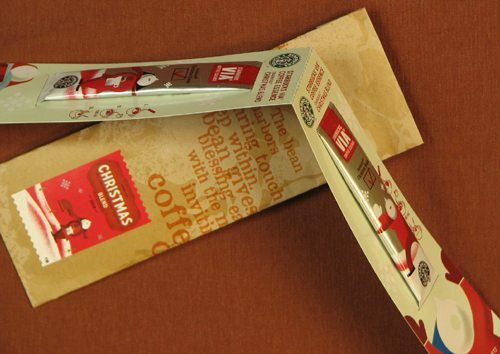 ^ Starbucks Japan officially released Christmas Blend Via on 11-2 and their website has lovely images. Thought it’s now nearly 11-3 in Japan because they’re so far ahead of Seattle time wise. They are 16 hours ahead of Seattle. Melody – your last comment made me think of the ABCNews coverage of the year 2000 where each hour they went to a different country in a different time zone to bring in the new year. You could do the same with Christmas VIA! I do like the little writings on the cards these (in this case, at least) are on….reminds me of many things Sbux past……I even have a favorite Sbux mug that says many of those same beautiful coffee descriptions…. I guess I am the odd one out here. I just see the store I go to regularly LOADED with VIA everywhere, and the bean selection is just minimal. And, I’m not sure where it ends….. Verona VIA??? Also, Christmas Blend has generally been one of my least favorites, altho I thought last yr. was better…to me. I do really enjoy Thanksgiving Blend, which I intend to buy today. And on that note, I have been told by my store manager and a couple others, that they will NOT be serving Thanksgiving Blend THE WEEK OF THANKSGIVING. I think that makes no sense. As for the red cups…..I will now look (at your posted link, Melody) but I’m almost afraid. They’ve been so joyful looking in yrs past. and I LOVE RED. red red red. @Denise – Yesterday Starbucks officially did a tweet of the red cups: http://yfrog.com/5kw9ycj – I have really mixed feelings about this year’s design. It’s like a harsh angular image of a person. But I love the “share” theme. Sorry for being off topic. I can’t wait for my favorite work friend to share some Christmas blend with me! We don’t even make coffee in our house anymore, we just use Via. I’m excited about a bolder blend! So, as I have now seen, different sz cups are all different designs…… I don’t mind so much about the ‘designs’, but a couple of the sayings? ie: Venti, “Our friends think of us AS AN ODD COUPLE, but we only think it’s odd WHEN WE’RE APART.” Then there’s the grande (which seems to have a little ‘owl angel’ on it…and that’s NOT just my opinion): ” I TALKED TO A STRANGER ONCE FOR AN HOUR OVER COFFEE. WE’RE NOT STRANGERS ANY LONGER” ???? the tall and the short make a little more holiday sense. I don’t know…I guess I am way old fashioned but whatever happened to ‘tidings of comfort and joy’, or “let there be peace on earth, and let it begin with me’, OR “Hark! the herald….” sorry so off topic…..
I’m very disappointed with this year’s Christmas Blend. Not sure if anyone else here has tried it yet. (Our Christmas rollout in Canada is today, earlier than in the US) It seems much milder than other years, with much less body and a sort of bland flavor, and more acidic. There’s also an espresso version of the Christmas Blend this year, which is the same blend as the regular Christmas Blend, except it is roasted using an espresso roast profile. It is definitely better than this year’s regular XMAS Blend, but I’m still not crazy about it. Haven’t tried the Christmas Blend VIA yet. @ALN – Yes I will have coffee with you soon! We can easily make some Via in the kitchen and sit in your office because it’s much cleaner than my office! I’m always totally thrilled and a little surprised to see you stop by the blog. @Denise – I hadn’t even taken a close look at the red cup sayings. I will definitely check that out. It sounds bold and unique for sure. @Nathan – Over on a more gossipy site there were photos of a Canadian store set up (I think) complete with Huxley Mouse! Can you tell me, did Canada launch the Christmas Blend Via today, and did Canada launch the Huxley Mouse? 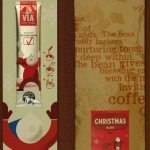 Christmas Blend VIA….I think I would like it…not a fan of the other VIAs, but I could see liking this. I did see the red cups today, and while they are not traditional, the sayings are ADORABLE! I loved the one about friends only being odd when they’re apart. (sorry Denise) They must have different ones, because I got that one on a Venti cup…and one on a grande cup that said something about Sisters looking up at the snowflakes in the sky. That was cute too and I’m an only child! Hey @Nob I am glad you are sometimes back online, I missed your comments! @CD – Oh my gosh you are right that it could be like ABC News bringing in the new year everywhere! 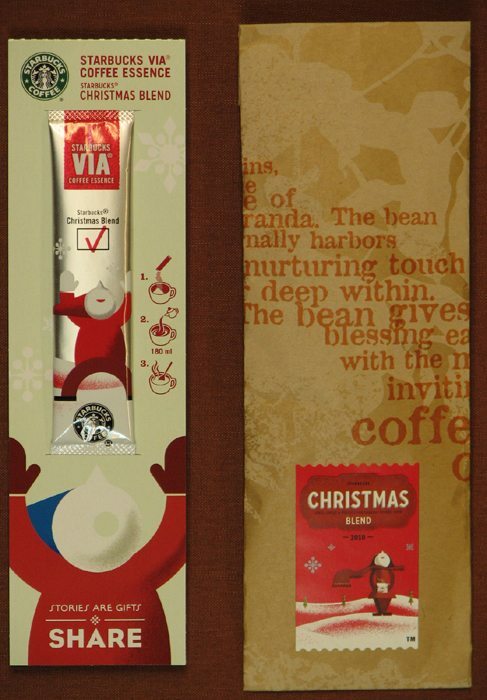 The Christmas Blend Via launched in Japan and Canada on 11-2. I have heard that it launches in the UK tomorrow 11-4!! And then we still have to wait until the 16th for the US. @Denise – I hadn’t paid attention to the sayings on the cup until you mentioned it here. I forgot a tumbler today so had Italian Roast this morning in a papercup that said “When I give gifts, I always get more in return. Funny isn’t it?” I like that one! Very cool, and very true. I think I like the overall red cup design. My cup has a snowman, flakes, and the snowman is holding some kind of coffee cup. I like it. Melody – thanks for bringing this timely news to your international readers and for not making your U.S. readers wait until the 16th! BEAUTIFUL blog post, as always MEL! You’re always, ever-so informative & insightful w/ ALL that is Starbucks! I won a fight with the large bowel cancer !!! Starbucks VIA Ready Brew helped me who was hospitalized. 3 days later, I can drink coffee again. 4 days later, I can take meals. I can’t wait to try some Christmas VIA, they are great for my desk at work. @AmazonV – You always comment and tweet my blog posts and I just don’t say thank you often enough. And I’m looking forward to Purples1’s return. I’ve heard she has computer problems right now. I can confirm that the UK has the Christmas Blend Via as of yesterday, Nov. 4th—and it’s GREAT!!! My favorite VIA now. Just wish we could get Thanksgiving Blend here!!!!! The stories as the “best gifts” is a great idea. We all need more stories… especially the kids. Lets read to each other. This has been flying off the shelves-despite the fact we’ve sampled it only once and only now just received our samples (late!)! I guess people who love Christmas blend are just going for it! We’ve had it in Canada since the beginning of the month as well.